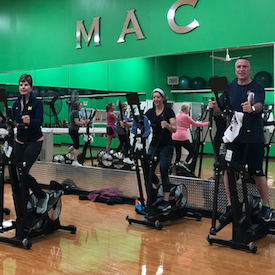 A 60 minute class designed to give up to 25 participants the opportunity to utilize the M5 Strider by incorporating the strider into a traditional circuit training class that includes a total body strength and cardio workout. The class is limited to the first 25 people in attendance. Pick up your class ticket at the desk to reserve your spot in class. New equipment and fun, new exciting class format!